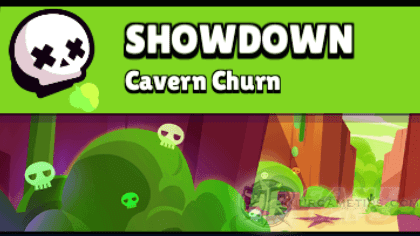 Here's some quick tips and guide on how to survive and win Brawl Star's Showdown event mode (Cavern Churn Map), in the fast-paced multiplayer online battle arena mobile game app for Android and iOS players. - Spawn points are located near the corners and sides of the map. - Lots of them can be found near the center area, corners (random 0~4), and the usual places. - Depending on your spawn point, and how enemies will move, you might need to fight for Power Cubes. - Except for the center area, obstacles here are very thick and the available space for you to run and fight is too narrow. This map is perfect for Throwers and other Brawlers that can control their areas well. - The center area is full of bushes so melee Brawlers are good here, including other Brawlers that performs well during bush fights. - Team-Ups: Team-ups are also rampant here which would make the whole match so toxic that it is no longer ideal for solo players. Example: More than 2 Throwers teaming up together~lol. If this happens a lot, better avoid playing this map for now. - I would only recommend this map for all brawlers only if there are few Throwers and Campers, and many Aggressive Brawlers (usually melee type) that goes to the center to fight each other. - If the number of survivors is around 5 or 6 before those poison clouds closes in forcing you to go inside the center bushes, then it's a good sign. - Grab Power Cubes that you can and try to charge your Super by harassing other Brawlers nearby. Check enemy movements, the more Brawlers that goes to the center the better. - For melee type Brawlers, camp and wait for enemies to come closer then ambush them. - For Ranged Brawlers, it would be better to ambush them right away instead of waiting for them to come closer to your spot. - Move away safely while scouting bushes if there are Throwers or stronger Brawlers nearby, unless you can fend them off. TIP: Throwers really love the lower part of the map. - Avoid getting sandwiched or trapped, transfer quickly to a not so crowded area early on if needed. - If your next move is to enter the center area, you can use your attacks to clear your way before going in (don't spam reserve some bullets), or wait for someone from the inside to initiate a battle then quickly enter and hide, hopefully they won't spot you. - Staying near an open area is also great to avoid ambushes, giving you an escape route once you spot someone in the bushes! - For ranged Brawlers, if you still have space to move before entering, spam your attacks from different directions to force those that are hiding inside to move, and hopefully encounter and fight other Brawlers. - Luck is needed from here on depending on how many is left. - Optional: You can also use your Super to clear some of those bushes (check below for more info) to give you some more space or a hiding spot. - Survive and ambush players that are fighting each other, or with low HP, hopefully you'll be able to grab any of the top 5 places. - Examples: Shelly, Bull, Bo (Star Power Unlocked), El Primo, Leon, and similar Brawlers. - Quickly get Power Cubes along the way near your spawn point, then run towards the center, or gather more Power Cubes from nearby areas. 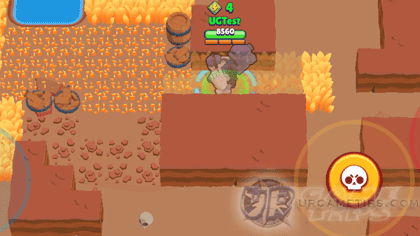 - For Bull and El Primo, it would be best to run to the center asap to get Power Cubes and control the area. You have the upper hand this time because Shelly for example, doesn't have Super yet. 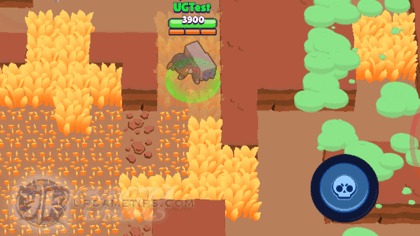 - For Shelly, charge up your Super quickly then go to the center, use your Super wisely when fighting inside bushes (spam tap/click Super button (Yellow) instead of Normal Attacks (Red) to quickly execute). - Watch enemy movements to check who are coming inside, ambush them if you have the upper hand (best while they are breaking boxes to reduce their DPS), or wait for them to fight another Brawler, then jump in to kill them both while they have low HP. - Once those poison clouds closes in, look for an easy prey that are lingering near those wide bushes. This is also great for Shelly to charge Super, but be careful because your location will be exposed. - For Bo, use your Traps on possible entrances to kill them off when they enter (effective against squishy Brawlers). 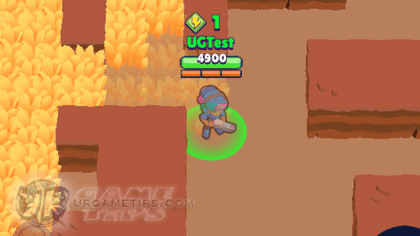 - This map can also be controlled by Throwers like Barley and Dynamike because of their advantage to throw attacks over obstacles, and most especially because of those team-ups! - Rico is also perfect to use here because you can easily scout those bushes and harass other Brawlers, forcing them to move away. - Recommended Power Lvl: At least 6 or 7 (possible at lower Lvls too) for 380+ Trophies. - Grab Power Cubes that you can and try to charge up your Super early on by harassing other Brawlers near those boxes. - Map Control: Control the area you are in to force other Brawlers to move away and disrupt other campers or players. Ambush players to trap them, or attack and sandwich brawlers that are being attacked. - Avoid getting sandwiched or trapped, transfer quickly to a not so crowded area if needed. Defeat high HP brawlers if possible because they might pose a threat later on. - Throwers: Never use manual aiming to fight moving targets, especially melee Brawlers. Drop your attacks right behind you when being chased. - Rico: Throwers can still pose a threat if your attacks can't reach them, so quickly move away and avoid them. If there are too many Throwers, Rico might be a bit challenging to play. - If you see or hear a Leon using his Super, start spamming attacks on possible paths he might take to get to you. 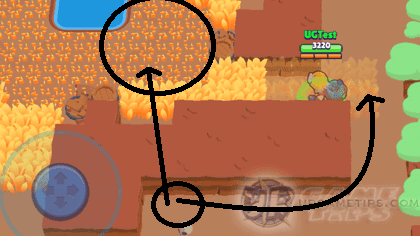 - The lower part of the available area, is a good spot for Throwers, while the left side of the wide bushes is for Rico (keep spamming attacks using walls to cover a wide area, more bounce, the better. Use different directions to be more effective). - Once those poison clouds closes in to the center, use those remaining obstacles to your advantage. Keep spamming your attacks to force those that are inside to move and hopefully fight other Brawlers nearby. - Once you are inside those bushes, either keep attacking to reveal other brawlers, or stay hidden and move to where you think it's safe. Let them fight while waiting for a good opportunity. - Use your Super too to cover more area, create space, or a hiding spot (check below for more info). - Examples: Colt, Brock, Dynamike, Frank, and similar Brawlers. - Your aim here is to charge up your Super, use it to isolate some bushes and use them as a hiding spot. - Note: You can also use other parts of the center area, not just the lower right corner of the bushes, find a way to cut off paths by destroying obstacles and bushes. - You can also destroy that huge obstacle from the outside depending on your Brawler like Colt or Frank. - Make sure though that there are no Throwers nearby that might disrupt your plan, or just dodge their attacks if you can. - The advantage here is that melee type Brawlers won't easily go to your spot even if they know you are there, giving you enough time to let them fight (more chance to get top 5) or attack from a safe location. - If you are up against long ranged Brawlers from the center, it's ok because if they attack you, it will expose their location. 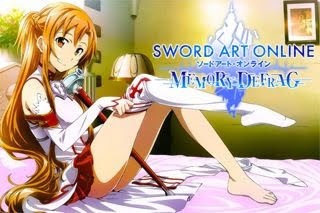 - By doing this method, it's easier to farm Trophies here even if you have low Power Lvls. - Healing mushrooms will delay the game even longer but not always. - Advantage for high HP Brawlers. - Spawns randomly, but most of the time it will spawn near Brawlers which is bad because it would reveal your location. - When combined with healing skills like Pam's Super... healing would be massive and could possibly survive even within those poison clouds!